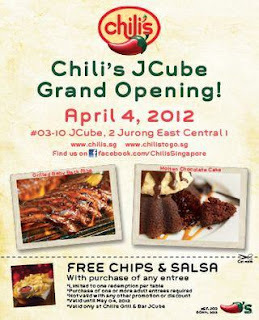 Chili's JCube Grand Opening on 4th April. Free Chips and Salsa with purchase of any entry purchased. Valid only at Chili's JCube. - Limited to one redemption per table. - Purchase of one or more adult entrees required. - Not valid of any other promotion or discount. - Valid until 4 May 2012. 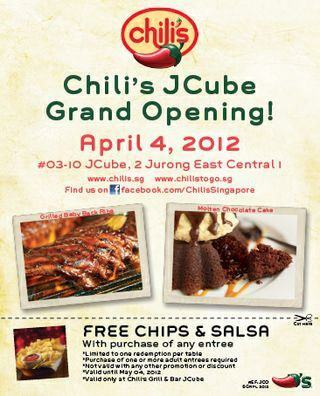 - Valid only at Chili's JCube.